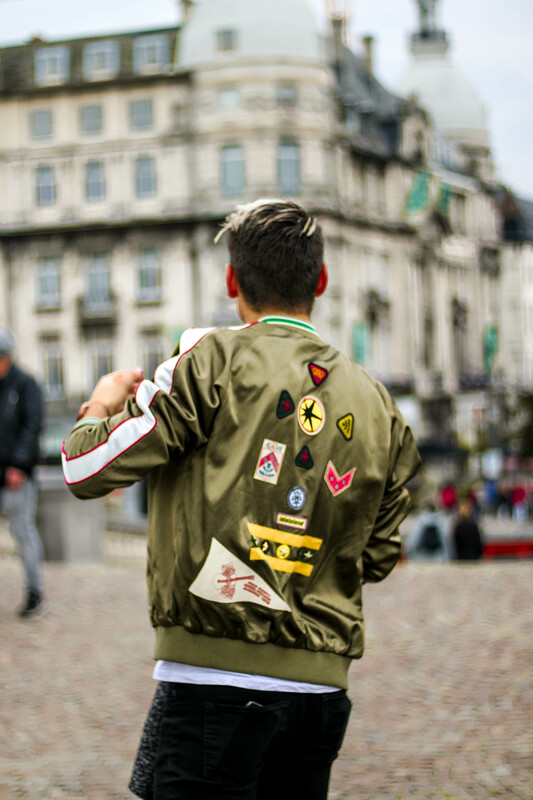 Who said bomber jackets can only be worn in Spring or Summer? 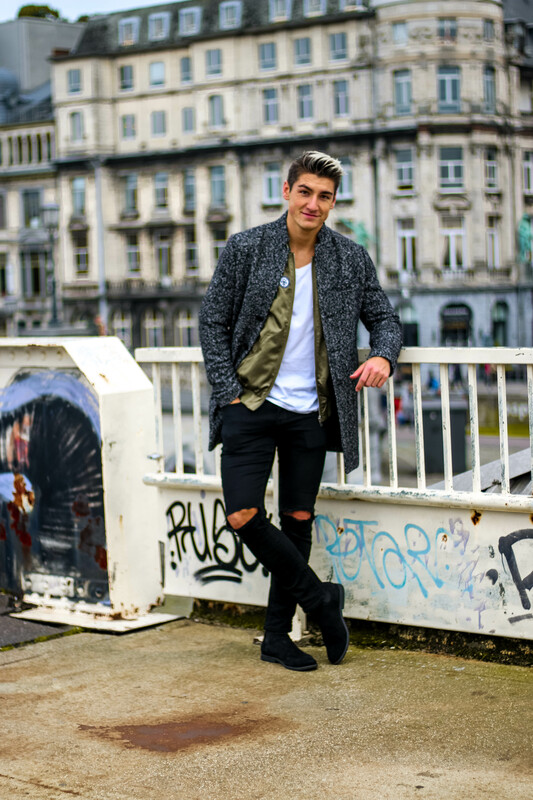 Autumn, and even Winter, are perfect seasons to show your cool bomber pieces. Diesel has some awesome ones in their latest AW17 collection. Colors are going from black to green & purple. Something cool about the one I’m wearing: it’s reversible. You receive two bombers for the price of one! Don’t walk in the streets with only a bomber and a tee underneath. Of course, this will be too cold and you’ll return home before even reaching the corner. Wear it under a coat or Fall jacket. I’ve took one of my favorite coats from Selected Homme. I wanted to keep the look classy, but couldn’t resist taking a black ripped pants out of my closet. However, the suede Chelsea boots return the classic aspect ;). Hope you like it! Previous Post Talking about red! Hey 🙂 i would like to ask u , where did u buy this watch ? .. looks so amazing ? Hi David! It’s from Casio, I bought it a few years ago. The color is rose gold ;).